Are you rolling out the red carpet for your new customers? 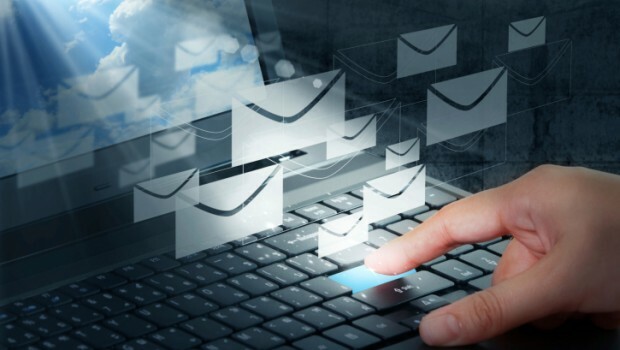 A recent study by Return Path found that 80% of companies now send out welcome emails, up from only 40% in 2008. What to expect. Warmly welcome readers to your mailing list and set expectations immediately. Let your readers know what you’ll share with them in your future emails, and how often. For example, you may offer advice and how-to articles, as well as some promotional offers. You may send bi-weekly, monthly, or another frequency. Stay true to whatever you promise! (You can get even more tips on send frequency here.). A special offer. Want a little more love? Give your new subscribers a discount, offer, or gift for simply being a subscriber. Then, let your new subscribers know that as a subscriber, they’ll receive special email-only offers they can’t get anywhere else just by being on your list. They’ll be far more likely to open your future messages for enticing discounts. *Timeliness is key when sending a welcome email. You want to send it out to your new subscribers as soon as possible after they subscribe. Many of our customers ask us about the difference between an email promotion/campaign and an email newsletter. The words are often used interchangeably, but an email promotion or campaign tends to communicate one single topic or idea, such as your current sale, or a new product, while an email newsletter often has multiple topics and tends to educate (vs. sell) and builds rapport with your readers. Your newsletter should always offer readers valuable information. Upcoming events or webinars. These may be events you’re hosting or participating in. You may also announce speaking engagements such as interviews with your executives on radio shows, at college campuses and the like. Ways to connect on social media. Include social networks you’re actively engaged on and updating regularly, as this is added value for your followers. Images. Keep your newsletter interesting with images relating to your content. Calls to actions.Tell your readers what you want them to do with clear calls to action such as read more, learn more, and register now. You can easily create call to action buttons for your website or emails and newsletters here. A NEW offer. Emphasis on the word new. If you offered 10 percent off all window frames last month, it’s old news this month! If you do repeat a certain offer, don’t repeat it back-to-back or multiple times in a row (you’re readers will think you’re a one trick pony!). A compelling offer. Discounts are great, but does the discount you’re offering compel your readers to click through all the way to the shopping cart? Try testing different offers to see which ones are the most effective. Enticing customers with specific products or services can be more effective than a set discount amount off all items or services. This is especially true of seasonal items. Clear calls to action. Make it as easy as possible for the reader to get the promotion. This may mean buttons leading to a shopping page on your website or links to pages with already inserted promo codes or registration forms. Just make sure as few steps as possible are involved in going from reading your email to purchasing the product. Don’t make it hard to buy. *Be cautious not to send promotional emails too often. Once every 2 weeks or once a month are good general practices. By including these three types of emails in your email marketing plan, you can help keep your subscribers engaged, loyal and spending. You can get more helpful email marketing resources here including free guides, webinars are more. Are there any other types of emails you think are important to include in your email marketing plan? Share in the comments!